Each year, the F.O.E. 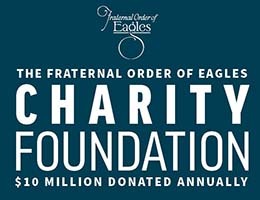 donates nearly $10 million to a variety of organizations across the United States and Canada. Join us as we continue our commitment to community service and making our neighborhoods safer, healthier places to live. Be a part of something great. Be an Eagle!